This illustration was drawn in the Adobe Ideas vector drawing program for tablets using the Wacom Bamboo Stylus. I then brought it into Adone Illustrator for fixes and colour correction and to add textures. Finally I took it through Adobe Photoshop for more colour correction and to prepare files for the printer. 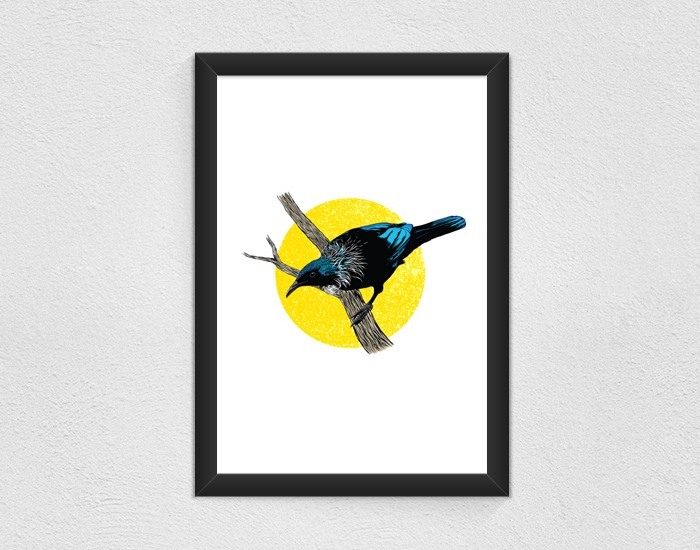 I created this Tui Print earlier in the year and have just recently made it available for sale. They look absolutely stunning, and will make a very unique and beautiful gift. Looks stunning in a minimalistic black frame. 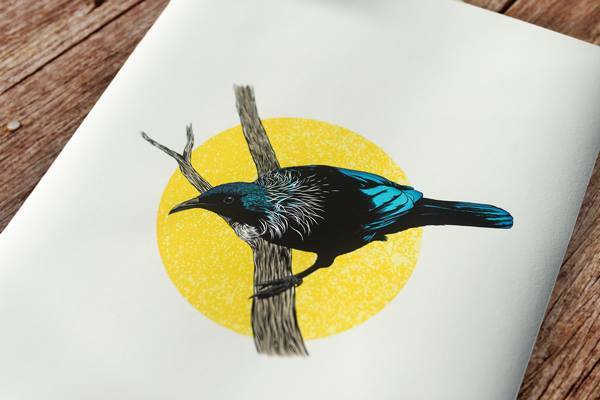 I have two more native New Zealand birds that are in the works and will aim to finish them early in the new year. Here are a few details about the piece. Named, signed & dated by the artist. Illustrated in Adobe Ideas on the iPad using Wacom Bamboo Stylus and further manipulated in Adobe Illustrator and Photoshop.